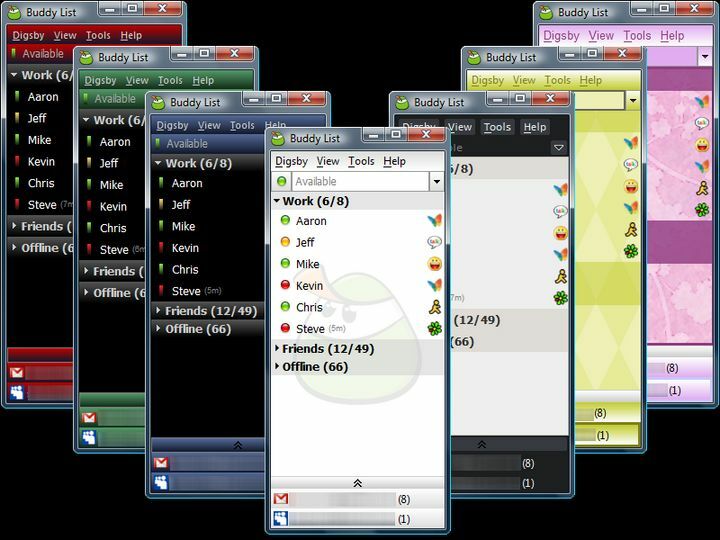 Digsby is an instant messenger that you can use to connect to your MSN, AIM, Yahoo, ICQ, Jabber, Google Talk or even Facebook account. All of your contacts stay organized in one friend list. In addition to IM-integration, you can also manage your email-accounts with Digby. 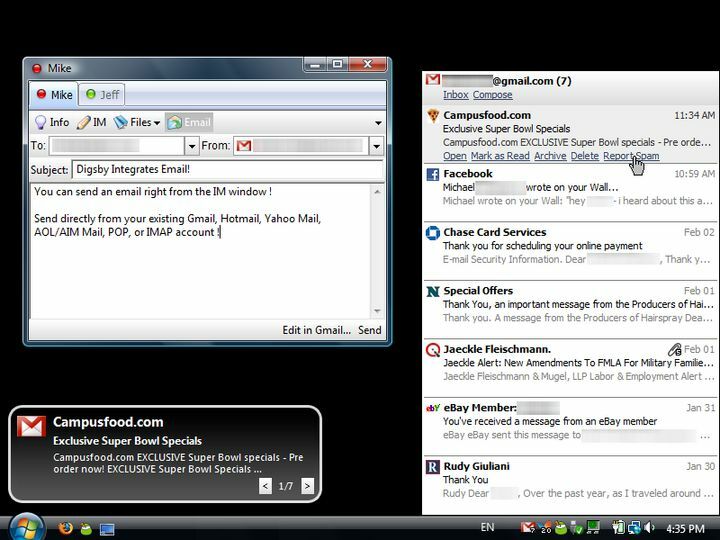 Supported are Hotmail, Gmail, Yahoo Mail, AOL/AIM Mail, IMAP and POP accounts. 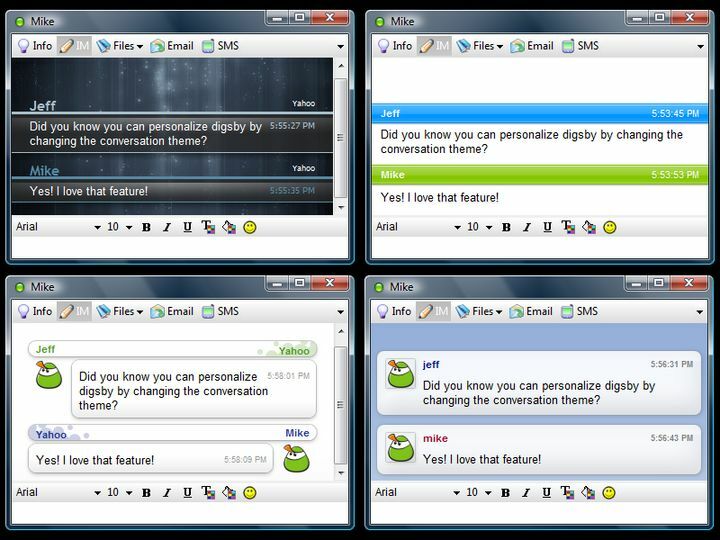 Digsby notifies you of new messages, and you can also mark messages read or spam. With Digsby you can also monitor your Facebook, Twitter, MySpace and LinkedIn social networking profiles. You get notifications of new events straight to Digsby. 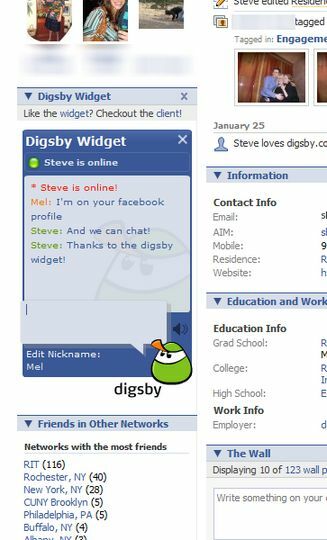 You can also place a Digsby-widget to your profile or website to chat with other page viewers on the spot. The Digsby installation comes with additional software, which you can choose not to install by declining them in the installation progress.